Bought these as a gift for my daughter. They were exactly as advertised. You know what you are getting with Ray Ban. Good price fast shipping. Shade your look with stunning style while wearing these business with personality frames. Featuring green lenses, these sunglasses are complete with UV protection. Dimensions 7.0 In. X 7.0 In. X 7.0 In. Despie being advertised as the 50mm I was sent the 47mm – not impressed. Quoting my daughter as she opened her gift just minutes ago..”these are SICK”. I take her reaction to equal a five star review for the appearance of the Ray-Ban Arista 47mm Round Sunglasses.. one star taken from me, MOM, because the lenses came NON-POLARIZED. Please read the description very carefully if POLARIZED desired/wanted. 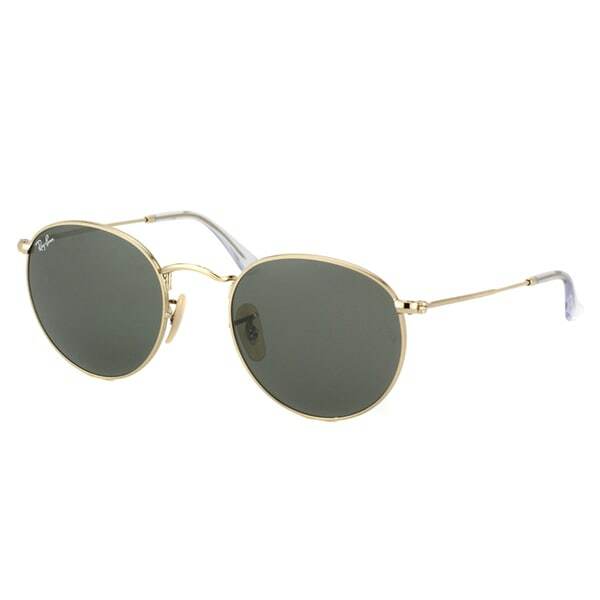 These sunglasses are so cool with the round lens. The look takes you back to the sixties and seventies. This is what my boyfriend wanted and he was happy to say the least!! Of course the Ray-Ban quality is always there!!! 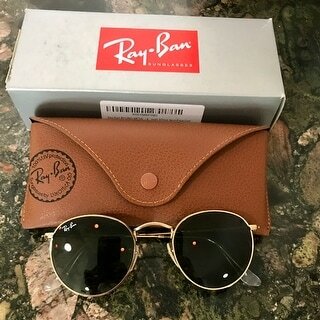 Great price on these Ray Ban's. I need a smaller frame and these fit perfect! My favorite sunglasses!! I wear them all the time. They go with every outfit and are such a classic shape that they will not go out of style. I am in love! Order was just as described. There was quick shipping. I was able to use a coupon to get additional money off. 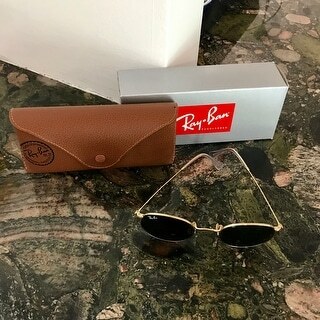 Sunglasses are authentic and in great condition. Beautiful glasses but should only be listed as women’s. Very small frame, too small for my teenage son. good gift glasses were authentic (took them to the store and retail confirmed they were real) great buy!!! My niece loved these - perfect gift! This was the first time ordering from OVERSTOCK - very easy!!! Ordered for my daughter's birthday! I will be using OVERSTOCK again. I Love these glasses. My friend has a pair and I just had to have them! it is what I was searching for. For my Daughters 19th birthday. She wanted a pair. Great price.